Support | Italian Heritage & Culture Committee, Inc.
To organize the events and promote the activities that commemorate Italian history, and tradition, and reflect positively on our Italian contributions to America requires financial support from donors like you. Each year we must raise funds for our activities, including the printing of our annual calendar of events booklet, with almost 200 listings, and the accompanying poster, which make up the greater part of our publicity outreach. 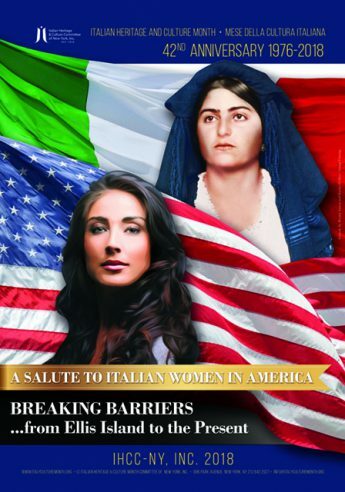 As members of the Italian American community or as someone who has simply appreciated the booklet and poster we produce each year, please help us by making a financial investment in the work we do.Your contribution will ensure that our work can continue to be planned and published and presented to the Italian American Community and to the community at large. All contributors will be listed in our Italian Heritage and Culture events booklet, and are fully tax deductible. Thank you for supporting our efforts to preserve our Italian Heritage and Culture. Please print out this page or IHCC Donation Form and submit.